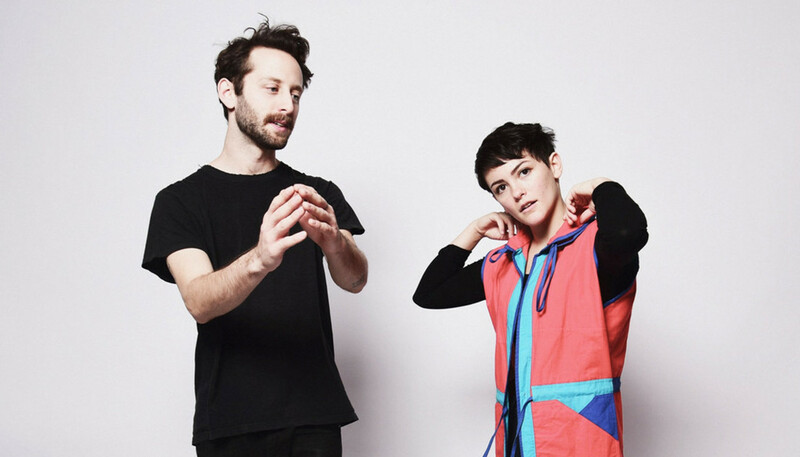 Two years on from their acclaimed EP, Over Easy, New York pop-punk duo Diet Cig finally shared their debut album back in April this year. 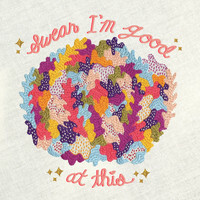 Though currently in the middle of a mammoth European tour, Alex Luciano and Noah Bowman found time to share their thoughts on Swear I’m Good At This, future recordings, and their goal to use their platform to make the scene a more welcoming place for femme and non-binary individuals. You’re in the middle of a mammoth tour right now. How’s it going? ‎Alex Luciano: ...EVER. It feels really good though. The tour’s been super-fun. It’s been really cool to see people in countries we’ve never even been before singing along to our new record, and just getting to meet everyone and be at all these places that we never thought we would even see, let alone go on tour to see. What are your top survival tips on the road? NB: Trying to sleep as much as you can, especially in the van. We’ve got a couple of neck pillows. AL: Everyone always asks us, “What are you going to do after the show? Are you going to go to a bar? Are you gonna go dancing? Are you gonna go and get crazy?” And I’m like, “I’m going to go to wherever we’re staying and take a bath.” It’s a lot of foregoing the parties afterwards for just going home and taking care of yourself physically. We do truth circles on tour, which is a fun way to get to let each other know how we’re doing, mentally and emotionally. So we’ll sit in a circle like, “Ok, this is a truth circle and anything that’s said in the circle doesn’t leave the circle, and there’s no judgement in the truth circle,” and everyone has to go round and say one thing that’s true. And it can be really emotional or it can be really light and silly, just anything that’s a true thing, and then it gives everyone an opportunity to get stuff of their chests which is really nice. We experience a lot of the push-back towards femme artists by people who are bitter about the fact that people are celebrating non-male artists. It feels like you really come alive in the live arena. Do you value shows more than studio time? NB: I wouldn’t say that we value it more than the studio. I think they’re two different things. But playing live is definitely a lot more fun, because it’s right then and there in the present, and we get to let out all the energy we have at that moment. AL: It’s kinda like when you’re gonna have people over and you’re baking this amazing cake and you’re so stoked because you found this recipe, and you’re baking the cake and having a blast, trying all this stuff, and it feels so good. But then playing live is like sharing the cake with your friends, which is also just as exciting as the actual doing of the thing. The recording is more of a personal joy, like when you really get that guitar sound perfectly on the record, and you’re like, “YES! I DID THAT!” But then getting to share what you made with other people is a whole other kind of joy. It’s really validating. We didn’t even think that we’d be able to write a full record. Like, the idea of a full record was really intimidating, and then to make one and have people enjoy it and tell us they enjoy it, is really validating. There was a big gap between you being initially tipped as ones to watch and the eventual release of Swear I’m Good At This. Were you deliberately taking your time with your debut? NB: I think we were taking our time but also we were just on tour a lot, and we were using downtime to record it and get it done. But we definitely like took our time on it because it was our first LP and it was important to us to put out something that we felt really proud of and I think we did. AL: Yeah, I think we really didn’t want to rush it. Between our whole team – our management and our label – there was a timeline [for the album release], and we kept pushing it back, like, “No we’re not ready yet. We want this record to be something that we’re gonna be stoked to play every single night for the next two years.” And I think taking our time with it really helped the record because we wrote literally half of the songs within the two months before we recorded, and that was six months after we originally thought we were going to record. So many of our favorite songs were written around the time that we recorded – or even in the studio at that time – and a lot of the lyrics and emotional things I cover on the record, happened in that six month period. So I think waiting and recording it when we were ready is why are so proud of what the record is. Thematically, is your debut a snapshot of a very specific time in your life? AL: I think some songs definitely are. Like, “Barf Day” was about my birthday in July that year. But then there are other songs like “Tummy Ache” where those feelings have been building up inside since we started this band. So I think there’s a good range of feelings from different times. What’s the biggest lesson you learned in the making of Swear I’m Good At This? AL: The biggest lesson I learned is that it’s ok to take care of yourself and listen to your gut. We kept pushing the deadline because we had this gut feeling that if we kept on working on it we could make something good. And listening to our gut and doing it when it felt right really was the right move, and made me trust myself a lot more. There continues to be a lot of controversy – particularly with regards to the Warped Tour – surrounding misogyny in the pop-punk scene. Is that something that you’ve ever experienced firsthand? Do you feel a sense of responsibility to use your platform to address issues that are important to you? AL: Yeah, I think so. I think it’s a really big privilege to even have this platform at all, and it’s a fine line... Like, we are just a band, not an activist group. There are activist groups out there doing real work but we just want to be able to create a space and an escape from all this bulls**t and let people know that there is a community. And if we can use our platform to help build the community that helps people feel safe and good then we will absolutely do that. We’ve been supporting girls’ rock camps in the US. We found a way to use our platform from hosting shows and stuff, to be able to support them and raise money for their camps so that more femme and non-binary kids feel like there’s space for them in the music industry. We’re trying to make a better, safer community for everyone. And so it’s little things that we’ve found that we can do to help do the thing we love to do. And your shows are safe spaces, aren’t they? AL: Yeah. It’s really tough because sometimes people are in the pit and just want to rage out and it’s like, “Ok, I understand that you’re stoked but you need to take care of everyone in the pit. And don’t touch anyone or enter their personal space without their permission.” We just want everyone to have fun, and we have the privilege of being safe on the stage for the most part and we want to extend that privilege to the audience as much as possible. Are you finding time to work on new music? NB: But it’s not like we have any songs that are down and ready to be played and recorded, but definitely the ideas of new music are forming. AL: Yeah. We’re definitely in the super, super early stages of thinking about the new record and unpacking what do I even want to say? But I’m really excited to write more songs together. NB: We have December and January of no touring so I think we’ll probably figure something out during that time. Finally, what have been your favorite albums of 2018? AL: I love Daddy Issues’ Deep Dream. We had the privilege of touring with them this spring and it was the couple of weeks leading up to the album release and we were getting to hear them play all the songs live first. If you haven’t already, you have to listen to it. It’s one of the best records this year. NB: I’ve been listening to a lot of old Death Cab records, but that White Reaper record was great. AL: And I think that the Jay Som record, Everybody Works, is one of the most incredible albums that has been released this year. It’s life-changingly awesome.